See and observe the world competition of two giant cameras, Nikon and Canon are always attracting the attention of the enthusiast photography. The novice photographers also provide competition Canon and Nikon as a reference before they decide to buy their first DSLR camera. In general, the beginners are not ready to buy a high-end DSLR cameras, so they focus want to have the entry level SLR camera. 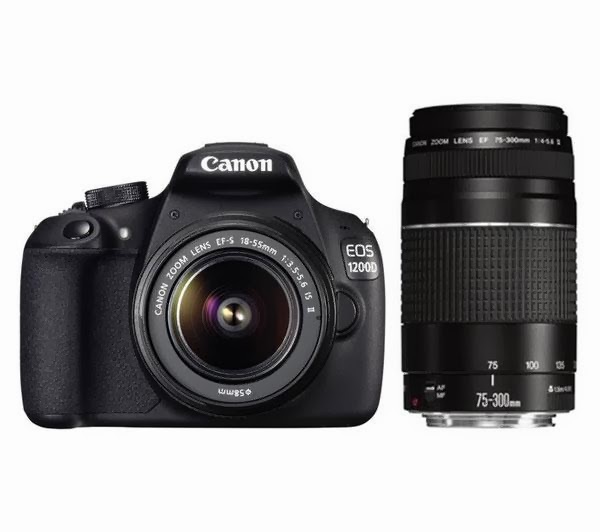 Is the era of 2014 could be a tough competition between the Nikon D3300 to the new Canon EOS 1200D? To determine the winner is not determined by the camera reviewers, however, are determined by consumers and photographers. The price factor is the main reason for their choices. Therefore, on this occasion, let's look at the two types of cameras are the Canon EOS 1200D and Nikon D3300. Nikon D3300 is HD-SLR camera and equipped with a 24.2-megapixel camera photos and 1080p Full HD videos with tack-sharp details, vibrant colors and softly blurred backgrounds. The Nikon D3300 is an entry-level digital SLR camera With its included zoom lens, the new ultra-compact AF-S DX NIKKOR 18-55mm f/3.5-5.6G VR II. The camera is equipped with an APS-C format sensor with no anti-aliasing filter and the latest EXPEED processor 4. Nikon D3300 is operated with the latest EXPEED 4 image processor; the D3300 features a pair of performance improvements to its core. The Model's ISO range - previously featuring a native high of ISO 6400 expandable to ISO 12,800 - now has a ceiling of 12,800 ISO expandable to ISO 25,600. This latest image processor also allows Nikon to add more features to appeal to video enthusiasts, notably Full HD at 60/50 frame rates for slow-motion footage. 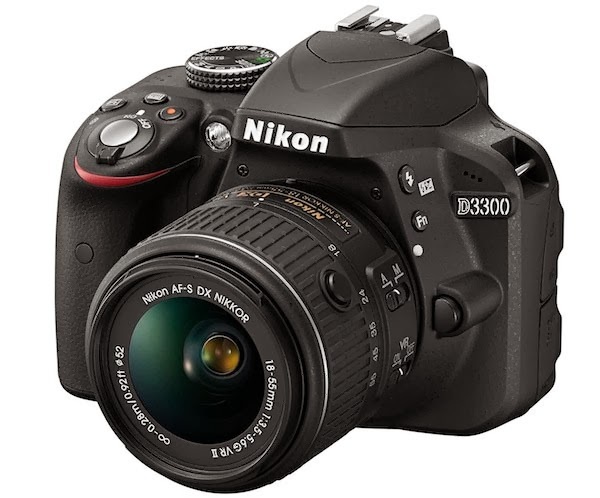 Nikon D3300 also features 5 fps continuous shooting, a 3-inch 921k-dot LCD monitor, as well as one-touch full HD 1080p video recording with autofocus, so you can make a movie or video clips with ease. Similar to the Canon EOS 1200D, then you can also make a variety of creative photo, because the Nikon D3300 offers a broad range of retouching tools, Including post-capture D-lighting, trimming, monochrome conversion red-eye correction, image resizing, image overlay, in-camera raw processing, color balancing, distortion correction, and a miniature effect and different filter effects. Meanwhile Canon just launched the Canon EOS 1200D (Rebel T5) replaces the Canon 1100D and sits just below the ultra-small Canon 100D as the first camera in the line-up. In contrast to its competitors, Canon is only equipped with a sensor resolution of 18 megapixels, while the Nikon D3300 is reinforced with 24-megapixel sensor, but you do not need to be affected by the myth of the sensor. Basically, you can always make high-quality photos with a 10 megapixel sensor, even 8 megapixel cameras that are now being used by many famous smartphone. The Canon EOS 1200D also has a 3 "LCD, 3 fps continuous shooting. This new EOS camera is also capable of recording 1080p full HD movies with full user control over exposure, focus and sound levels. You can certainly make a movie or a video clip in high resolution, so that you can display on the HDTV television. 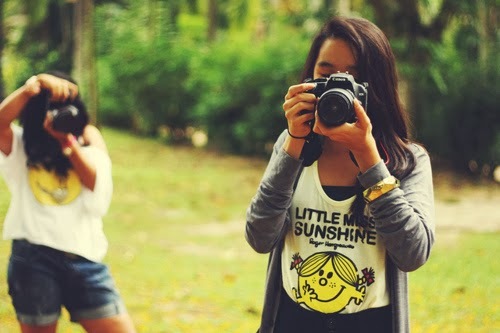 On holidays and also for other activities, you can use both cameras to create video clips and movies with ease and fun. Canon EOS 1200D has a built-in Feature Guide and an easy-to-use Scene Intelligent Auto mode. Canon has opted for a companion app for iOS and Android that can help educate and instruct you about how the camera works, in addition to general knowledge of shooting and camera. As with any new cameras, it can be creative with maximizing Creative Filters on Canon 1200D, and you can use five different artistic styles, such as Fish-eye, Miniature effect, and Toy camera, can be applied either before or after a shot are taken, or simply bring a completely different perspective to your images. You are free to imagine creating unique photographs based on the photos that you have taken. Both the Nikon D3300 and the Canon EOS 1200D is the camera which is very fitting for the beginners as well as those who want to have a camera at an affordable price. You can use the default lens of each camera for a vacation, shooting indoors or for outdoor shooting; both cameras are even capable of making images in low light conditions. If needed you could always use the built-in flash for shooting at night or dimly lit room. The weight and size of the two cameras is also convenient for you to travel abroad, for example for a vacation to Bali, the world's last paradise. If you want to save your money, then you do not need to buy a high-end cameras like the Nikon D800E or Canon EOS 7D. By having a Nikon D3300 or Canon EOS 1200D, although both cameras are just an entry level camera , but with creativity and seriousness, then you only need to buy the original lens manufactured by Nikon or Canon, you can even buy a third party lens such as Sigma, Tokina, Samyang, or Tamron. Your wisdom in finance will make you faster to become great photographer.